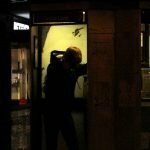 The Polish developer 11 Bit Studios makes games with quite an interesting survival ambience to them, giving the player the feeling that the game is playing them. 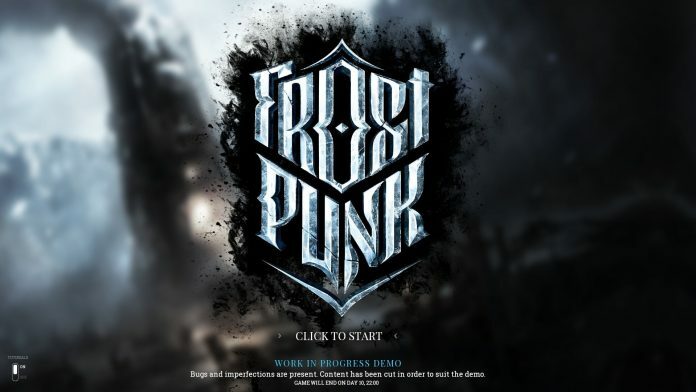 The latest creation, Frostpunk, aims to achieve the same as This War of Mine also did: To throw a new perspective onto an already well known scenario, giving the player the gloomy enjoyment of a gritty experience. We have managed to test the Gamescom exclusive pre-release in detail for you. 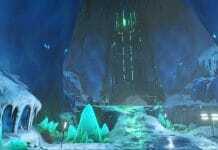 The bells sound through the valley, which is frozen to ice, and the monolith of the steam generator rises from the snow masses. A handful of survivors melds around this last bit of hope at a time when all hope begins to feel lost. Adaptation and evolution is what after thousands of years has given man the upper hand they have today. Adapting is key to survival. A new law has passed. You are the leader of this new, perhaps last civilisation of mankind, appointed by the desperate refugees of this new ice age. Since we have decided in our desirable wisdom that working shifts can now be extended to 24 hours in emergencies. This means 24 hours of hard physical work at sometimes minus 40 degrees Celsius. Certainly better than sleeping next to the large steam generator on bare wooden planks at least. 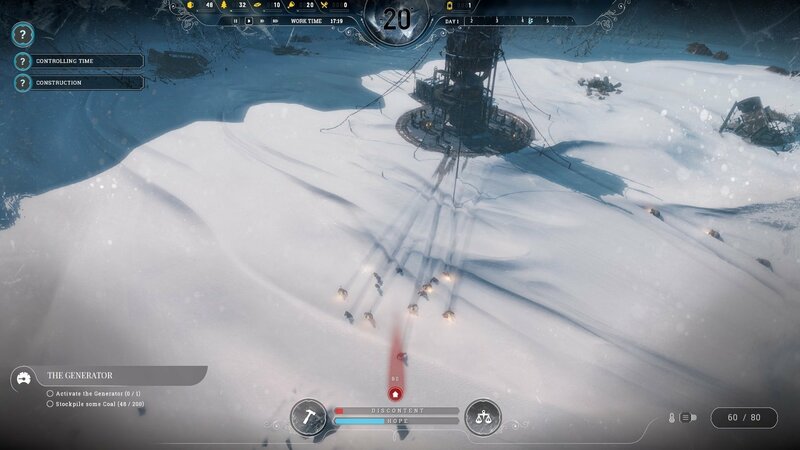 The Frostpunk demo promises a technically faultlessly programmed Survival City Builder, which conveys its own interpretation of a steampunk theme. 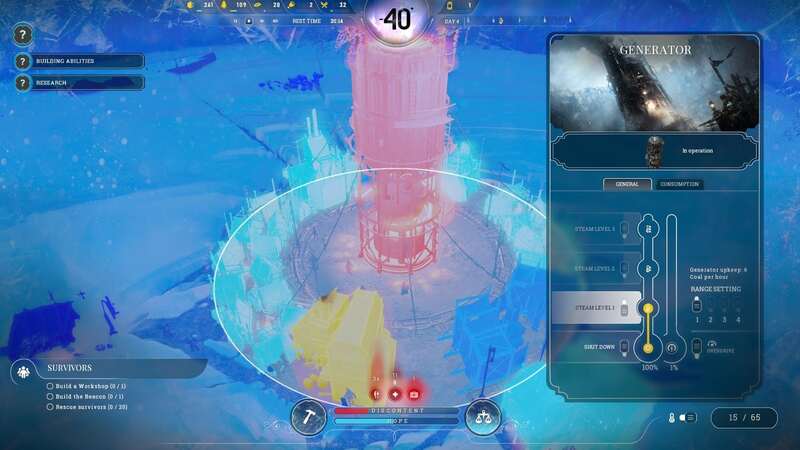 The graphics shown have class – from the detail of the machines and buildings over the design of the game world to the animations of the small figures, everything fits very well together. Also the artwork is beautiful – a frozen over steampunk wasteland. 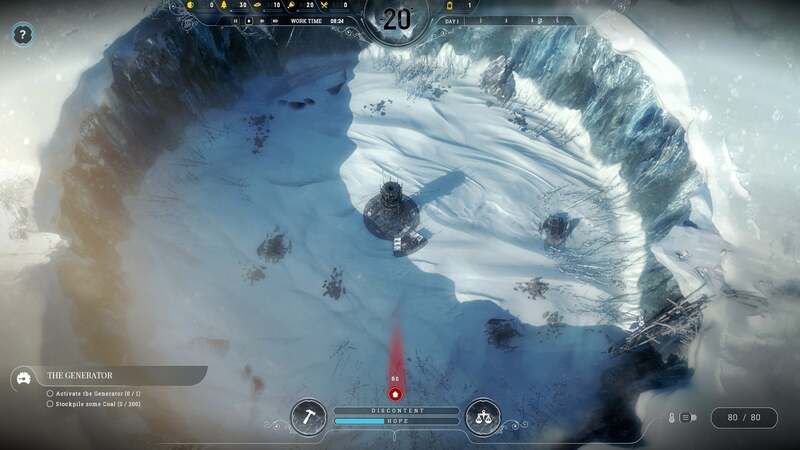 Gameplay showing the frozen over steampunk setting. The gameplay mechanics interlock logically so that we can follow the flow of the game intuitively from the first moment. 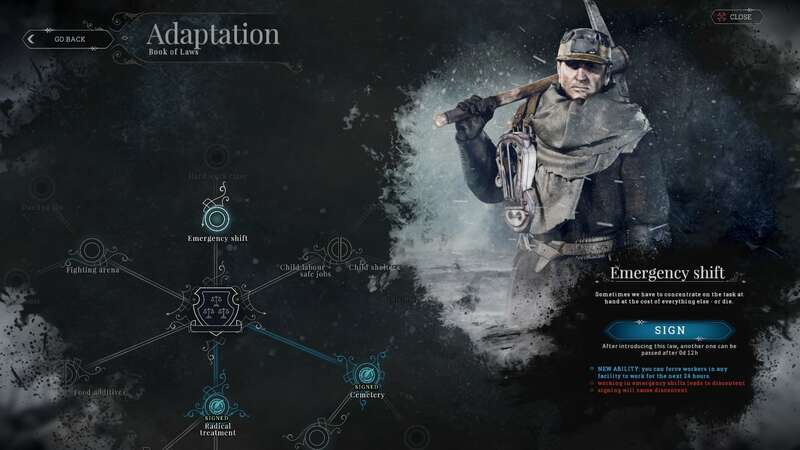 The HUD and menu design remain faithful to Frostpunk‘s ice-cold 1800s style. Especially the sound which manages to pin the very harmonious and intense atmosphere to an unreal level. With fixed Ultra settings, we can only estimate the hardware requirements: even the demo will probably run slower on weaker systems. 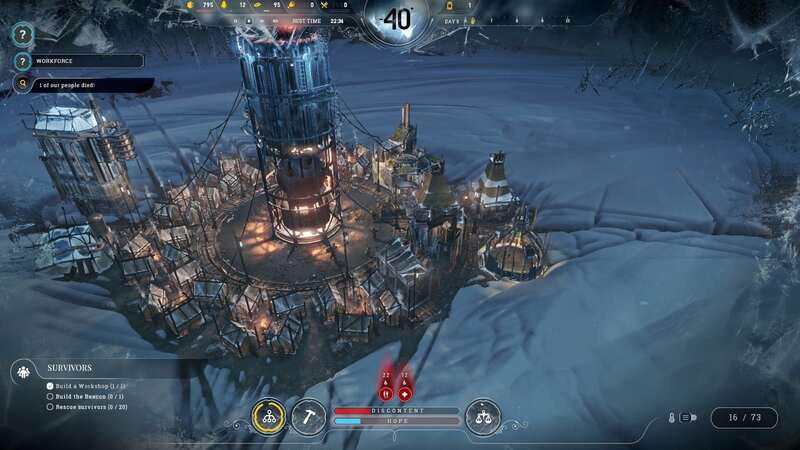 We suspect with the settings-lock of the preview, it was a conscious decision of the developers to bring Frostpunk in the best possible light to the public. Nice looking but demanding for PC’s. So whilst we send our little men and women to our remote but survival-important resources, our gaze falls on the thermometer displayed central in the display. It is minus 20 degrees and we guess it must be relatively warm in comparison to the usual ice-cold temperatures. Our gaze is averted to the right and the user interface confirms the assumption – a time axis shows the weather forecast for the next few days. A temperature drop to minus 40 degrees is imminent. Do we have enough coal in the warehouse to keep the steam generator running? Temperature levels in the building are colour coded. It seems that there are too few resources for the next days. We are doubling the staff of our coal expeditions and once again reaching a limit – the available workers. Everyone is busy with life-related tasks – hunters, collectors, cooks and doctors are already working to their limit. Everyone is busy – all except the children. Oh no.. Is this really our only solution? We check again all the options, stand up from our computer desk and clasp our hands behind our head. 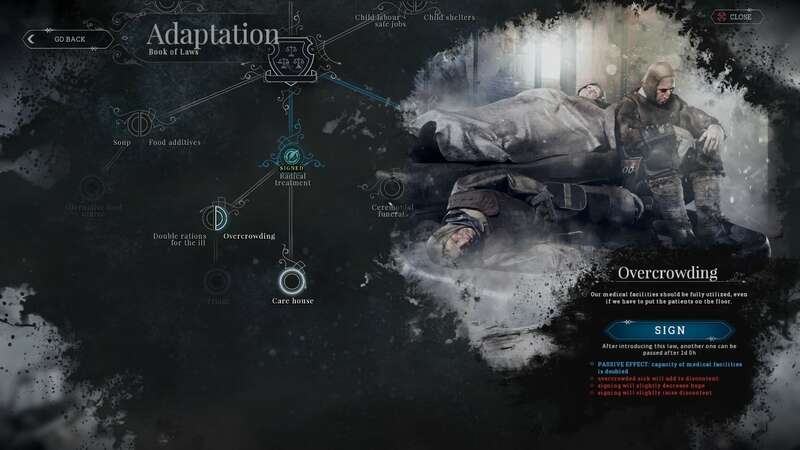 This is what Frostpunk forces you to resort to. Yes, it’s just a game. Though, it’s a game that allows you to gain an attachment to the virtual population you are protecting. Not to mention the children who you want to keep safe and sane more than anyone. This game makes you question your morality for the sake of survival. Is there another way to get around this? As with 11 bits This War of Mine, you need to be very thick-skinned to enjoy the tone of Frostpunk. Not only are you dealing with the virtual cold, but the cold inside you as you face your own morality for the sake of survival. The title is really on the nerve and exposes wounds, the existence of which we might not even be aware of. Of course, it’s common knowledge that something like child labour exists. Most of them just have to peek behind the curtains to witness such an issue. A little frightening is that a computer game called Frostpunk is able to make this crime emotionally comprehensible. Try not to let it sink in too hard. People are forced to march through meter-high snow in emergencies. Drawing a conclusion from a demo is always difficult. On one hand there is still missing content and on the other hand, demos are designed to make as good an impression as possible. Accordingly, statements regarding qualities and quantities at Frostpunk are currently only possible under reservation. Let’s start from the ideal case and imagine the game is down to the last corner of the same quality as the demo. Then we are faced with a true niche genre of video game that we haven’t seen before. A game which trains the player in the bitter realism of society on the verge of survival. You can decide the laws for yourself. 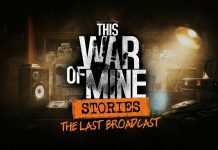 In terms of quantity, senior producer Błażej Żywiczyński assured us in an interview at Gamescom 2017 that there will be some small, free DLCs like the intellectual predecessor of this War of Mine. A larger, paid add-on is also a likely possibility. We also point out that we have only played a demo of the game. Our impression evaluates an unfinished product with quite a big hardware starter, which has been implemented very well up to this point. 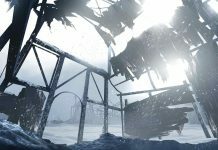 The most obvious “weakness” is at the same time the greatest strength of Frostpunk – its deeply oppressive atmosphere will hardly reach the mainstream. Just as hardly anyone likes to think about the origin of their clothes.